“This is a critical time. The illegal wildlife trade remains the most urgent threat to elephant, rhino and tiger. 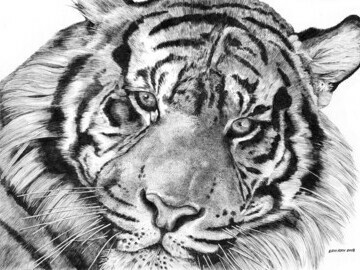 Sketch for Survival is the idea of UK based charity Explorers against Extinction (registered UK charity number 1177505). 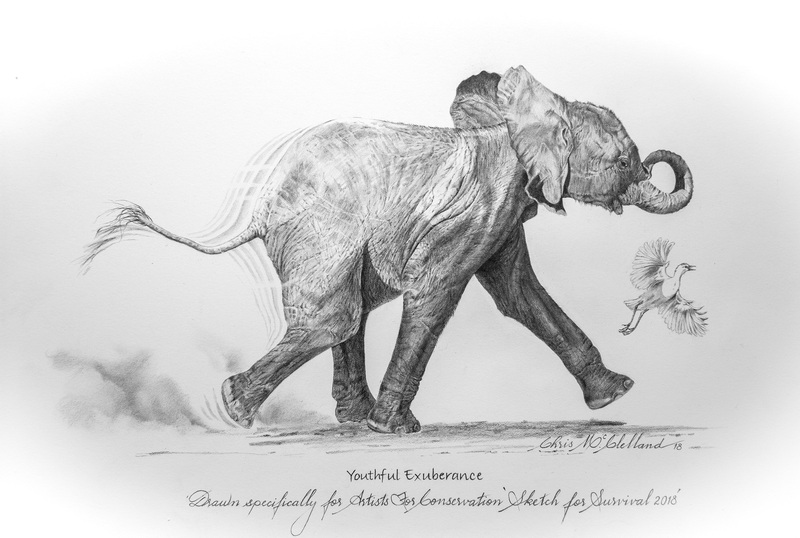 At the heart of this innovative touring wildlife art exhibition and auction is a shocking statistic: an African elephant is poached for its tusks in the wild every 26 minutes. 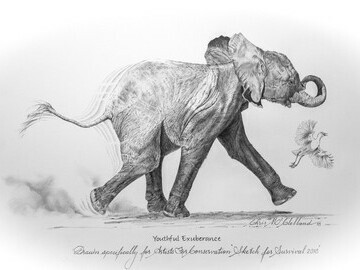 The organisers asked professional wildlife artists and celebrity supporters to help them raise awareness about the threat of extinction, not only to elephant but to other iconic species by donating a 26-minute sketch or other original artwork of an endangered species to their exhibition tour. 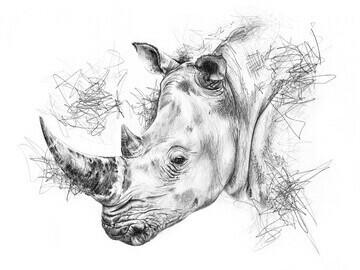 The proceeds from the sale of artwork at the end of the tour, goes to support important frontline conservation projects. The headline project this year is an elephant anti-poaching initiative with African Parks in Garamba National Park, Democratic Republic of Congo. The charity also plans to support Fauna & Flora International by donating funds to a project aimed at safeguarding Sumatran Tiger. 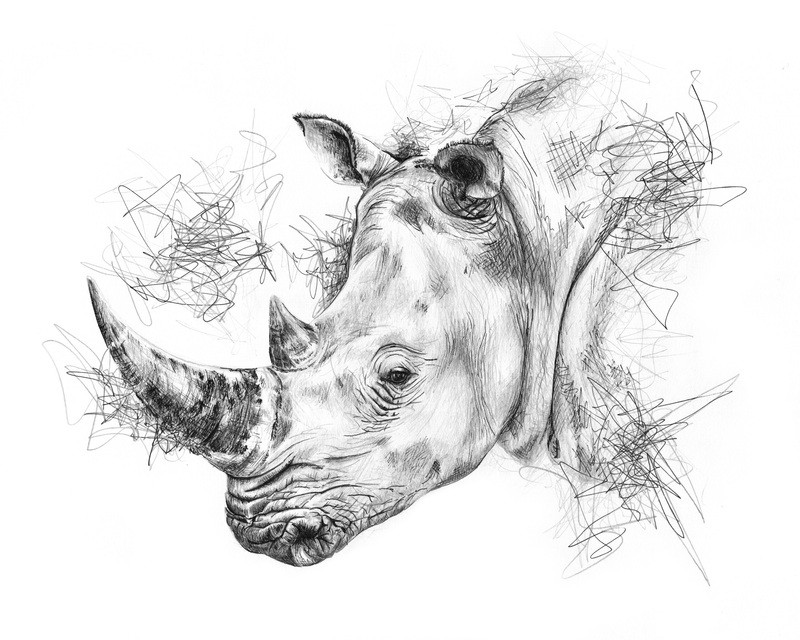 The charity has been inundated with support receiving 476 artworks from more than 30 different nationalities representing well over sixty rare and endangered species around the globe, including mountain gorilla, rhino, Amur leopard, polar bear, tiger, elephant and marine turtles. Celebrity supporters include three Oscar winners (Dames Judi Dench and Helen Mirren, Nick Park); the world’s most famous living explorers (Sir Ranulph Fiennes, Colonel John Blashford Snell), a best-selling international author (Frederick Forsyth), acclaimed actors (Richard E Grant and Sophie Thompson) and much-loved television personalities (Stephen Fry, Mary Berry). The complete collection will be unveiled for the very first time at this weekend’s Wildlife & Safari Show at Harrogate Convention Centre. The show is a new venture focusing on bucket list wildlife experiences and responsible travel. The Sketch for Survival exhibition tour runs this autumn from 29 September to 25 November across seven different venues including [email protected] in London and the Salmagundi Club, New York USA. The tour coincides with an international conference hosted by the UK government about the illegal wildlife trade. The conference on 11/12 October will bring together global leaders to eradicate illegal wildlife trade and better protect the world’s most iconic species from the threat of extinction. 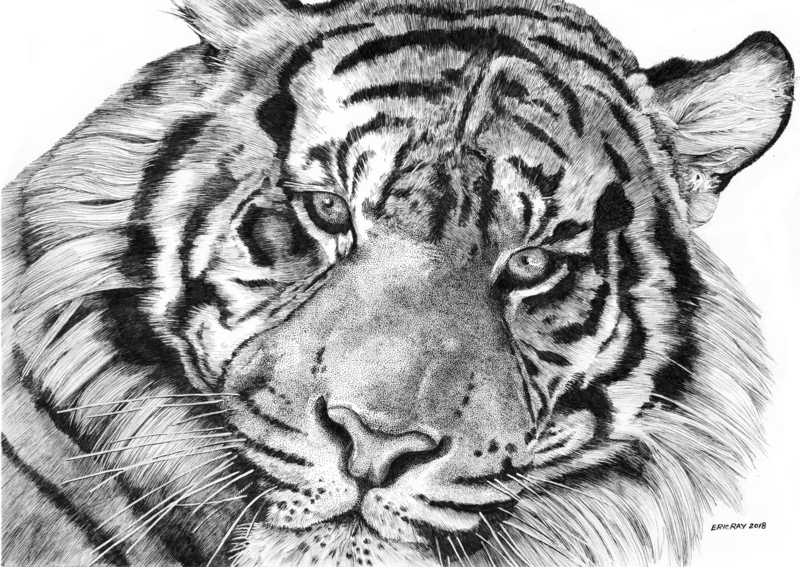 Artwork credits: Disappearing Species by Kate Strom Fields (rhino); Tiger_Face by Eric Ray (tiger portrait); Youthful Exuberance by Chris McClelland (elephant). Other artwork jpegs available on request. Notes to editors: Explorers against Extinction is the working name of The Real World Conservation Trust (No 1177505) formerly known as the Real Africa Trust (No 1149508). Last year the Trust funded two rhino protection dogs for Rhino Conservation Botswana and a Conservation Arms/Ammunition Spaniel for the Ol Pejeta Conservancy in Kenya). They also donated over $22,000 to the David Sheldrick Wildlife Trust in Kenya. * For more information regarding media usage, ownership and rights please contact Real World Conservation Trust.